How many episodes of Skam have you seen? 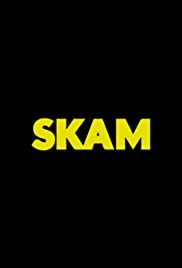 An italian version of the acclaimed and innovative Norwegian youth series Skam, which follows a group of teenagers in their everyday life of school, love and leisure time. Skam France follows five french girls as they go to high-school. The story of a group teenagers on a secondary school in Utrecht, The Netherlands. The story follows young teenagers as they go to high-school. German adaptation of SKAM. The story of young teenagers and pupils in a high school in Antwerp, and their troubles, scandals and everyday life. Each season is told from a different person's point of view. I've seen a lot of TV shows during my life (probably more than most people) and I am having serious issues finding a show that is better than this. As a 24 year old guy I am probably not the primary audience for this, but I've never once felt like I am too old for this or that this was written for somebody else. It instead made me feel nostalgic and reminded me of my high school experience, which was pretty similar to what is shown here (just with less partying). There are no classic "jocks and nerds" groups in this, just different groups of friends that interact with each other. I don't know if this is because the high school experience is different in Europe than in the US (where most popular TV shows are from) or something else. But it certainly felt closer to home. The first two seasons were brilliant, but season 3 felt so real that it made me cry more than once. The character of Isak could have been written after any closeted gay boy during high school. And that basically struck so close to home. I pretty much fell in love with Tarjei Sandvik Moe and his character. His acting ability at 17 pretty much makes every other actor seem like an amateur. He expresses so much emotion through his body language and facial expressions that I believed that this is actually what he was feeling. Season 4 has just started and I am going to watch the first episode after I finish writing this. Sure it probably won't be as good as season 3 (mostly because I pretty much saw myself in season 3), but I have no doubt that it will be brilliant. The main issue is - where do we go after Season 4? Season 4 is supposed to be the last one and I have serious issues finding a suitable replacement. To be honest... I pretty much lost interest in all other TV shows because none of them can compare to this.